An Aspirant Governor Event will be held on Thursday 15 March 2018 for anyone to find out more about the voluntary role. 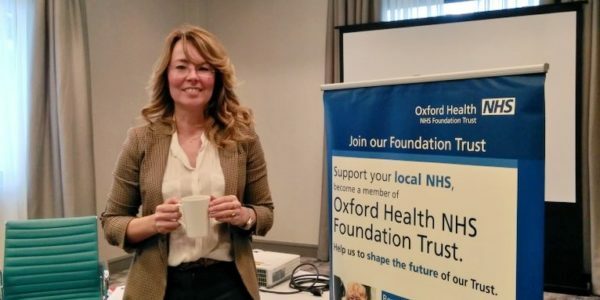 Oxford Health is preparing for its 2018 election to the Council of Governors. In just two weeks’ time (Wednesday 7 March) nominations open and we begin inviting new and existing members of the trust to put themselves forward to serve as a governor and a valuable voice of their community. When nominations open there will be 10 vacancies on the council. An Aspirant Governor Event will be held on Thursday 15 March 2018 for anyone who is interested in becoming a governor to find out more. The event will take place from 6:00pm to 8:00pm at the Keble Suite, Jury’s Inn, Godstow Rd, Oxford, OX2 8AL. If you are a trust member, or plan to join before elections begin, why not find out what life as a governor is really like by coming along to our aspirant governor event in March. All are welcome to join us for refreshments and an informal chat with serving governors. Find out what our governors enjoy most about the role and ask our Director of Corporate Affairs and Company Secretary Kerry Rogers any questions you may have about nominating yourself as governor. If you would like to attend please email lauraj.smith@oxfordhealth.nhs.uk.